But with so much pressure, and so muchbuilt around the Masters, U.S. Open, British Open, and PGA Championship, players are always trying to find the best way to prepare. Many players have chosen to take the week or two off before a Major to get in the right frame of mind and practice on their game, rather than play in competition and expend any unnecessary energy. But then contrary to that, some players like to be in the heat of battle all the way up to a Major, to keep in rhythm and treat it as any other week. In fact, some tournaments, like the one this week for example in the Shell Houston Open, have curtailed the golf course to mimick the conditions that will be at the next Major championship, in this case the Masters. This is for a couple of reasons. One, to help players prepare for the Major, but second, to entice players to come and compete in lie conditions that they will find at the upcoming Major championship. Tiger Woods simply doesn’t play the week before a Major Championship. Never has. Never will. It’s just the tourtine he is in. So you won’t see him in Texas before his trip to Augusta. But then players like Phil Mickelson often like to compete the week prior, or up to two weeks prior, so that they still have that feel of competition and a certainty of how they can expect to perform. It is certainly interesting the different schools of thought that enter into a player’s mind around a Major. 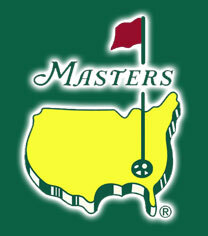 And with the Masters a mere two weeks away, we thought that this would be a perfect time to bring it up. And in case you were wondering, the Shell Houston Open has some great players in the field this week, less Tiger. They include Rory McIlroy, Mickelson, Steve Stricker, Brandt Snedeker, Hunter Mahan, and more.